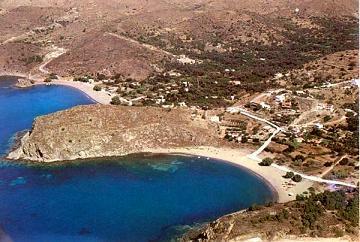 Managros beach is situated not far from Volissos village. It is one of the biggest shores in the Island, with 40.000 square meters in extent. It is consisted of sand and pebbles of any kind graduation. A specific characteristic for the settlements that are situated in this side of the island, is that the sea waters are very cold. In the area of Managros there are situated a scout center and another of camping.